The Bali Lunate Anthias, P. charleneae, is closely related to the Lunate Goldie Anthias and may sometimes be referred to as Pseudanthias cf. lunulatus. 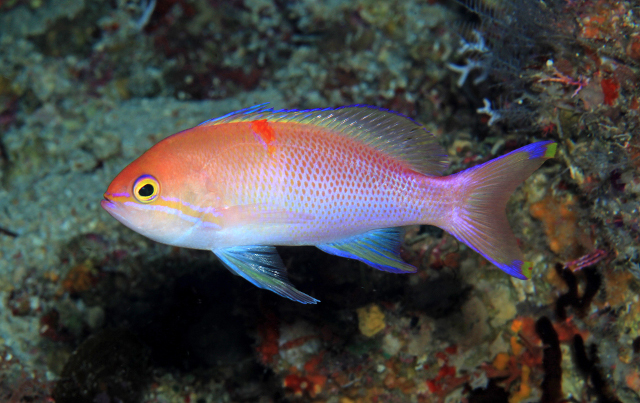 It is a deepwater Anthias that is not often collected for the aquarium hobby. It is sensitive to shipping and can be difficult to acclimate to the home aquarium. Keep lighting low when acclimating this species. Always keep the aquarium oxygenated and provide plenty of caves and hiding places. Feed a variety of meaty foods like mysis, copepods, and enriched live adult Artemia. They may be kept singly, but harems with one male and many females may be kept in very large aquariums.